When once faithful followers begin disturbing the status quo, instead of honouring their spiritual evolution they are often labelled as rebellious, divisive, and even heretical. We attend church less often or leave church altogether. Sometimes we’re asked to leave. The anger and guilt can lead us to disconnect from God. Lost and without a map, many of us end up on the fringes of all we once knew – alone, disorientated, and disillusioned. Many Christians encounter what is often described as a crisis of faith. Some supress it and just carry on. Others leave the church and faith entirely. Escobar describes this as a faith shift. In this book (also entitled Faith Shift) she offers a description of the journey many find themselves in and offers hope that this might be a good thing. She describes the early stages of the Christian life as Fusing. We begin with belief, add to this learning, we work hard for God, and find security in belonging to our tribe. There is security in affiliation, conformity and certainty. Many stay at this stage for all their lives. But for many this stage is followed by Shifting. When the foundation of faith begins to crack there are often common ingredients. Disengagement with the worship, the sermon, the church and others. Uncertainty with what seemed so sure. Longing for a more authentic faith, a faith that is bigger than the rules, regulations and certainty of our infancy. A faith that is more about redemption than judgement, more about restoration than condemnation. A faith that is more about this world than the next. At this point do we turn back to safety or push on into uncertainty? There are many reasons for turning back: we may be concerned about the effect on our family our children, we may miss the inspiration we used to receive, we want to avoid the pain and turmoil of moving forward, we miss the certainty of our old faith. Escobar is clear: it’s OK to go back, and it’s OK to go forward. For many going back is not an option. The forward path leads to Unravelling. Each unravelling is different. But negative feelings are commonplace, including sadness, anger, confusion, fear, and shame. Escobar offers soul care for the unravelling: expect the unexpected; come to terms with negative emotions; consider the possibility that your soul is not at risk; accept that some relationships will fall away; make time for safe, life-giving friends; try experiencing God in new ways; be selective in what you read and what events you attend; resist the temptation to compare yourself to others; avoid big triggers if possible. Fortunately there is hope. Unravelling is just a stage in the journey. You can move on to Rebuilding. What seems like an ending can become a beginning. Drawing on her own personal story and that of dozens of others, Escobar offers compassion, hope and tangible practices for rebuilding a new and authentic faith. Kathy Escobar co-pastors the Refuge, a Christian community in North Denver. 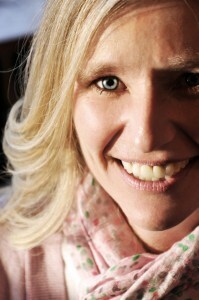 You can learn more about her work and writing at www.kathyescobar.com. 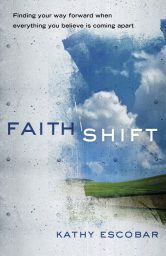 Faith Shift is published by Convergent Books. Raised Evangelical, I decided to “deconstruct” my belief set a few years back. I am now “rebuilding.” Now that I have “faithfully questioned” Scripture as Derek Flood puts it, I am much stronger in my faith, much closer to God and at peace with life. Having doubts about church teaching, asking hard questions of the Bible does not reflect lack of faith, but the opposite. It shows one is serious about their faith and can lead to amazing discoveries.